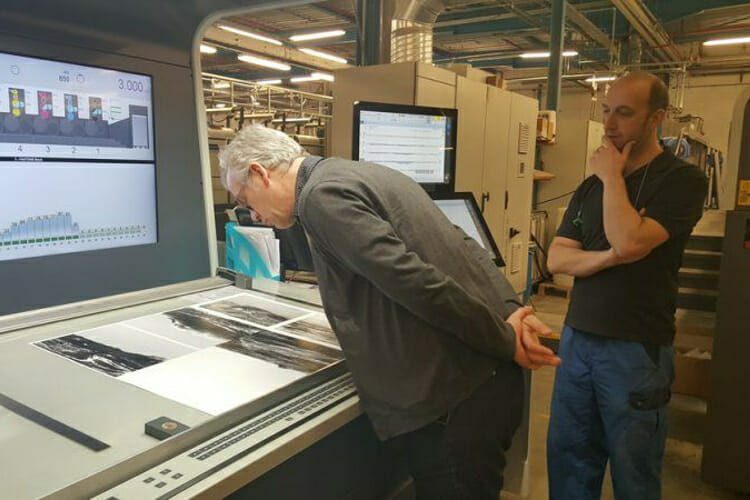 Today the whole day at the Die Keure printing company in Bruges. Together with Sebastiaan Hanekroot, the lithographer. Fortunately it all went well and the book is almost printed. Monday the last printing sheets. After that, it is still binding at van Mierlo in Nijmegen.